If you have a question, or just want to say hello, please feel free to contact me at happinessiscreating@gmail.com. If you’d like to see if we can work together on either sidebar advertising, hosted giveaways, sponsored posts, or all of the above. Just shoot me an email. If you are interested in becoming/having me as a guest blogger, let’s chat! All images on this blog are copyright protected unless otherwise stated. If you’d like to use a photo from one of my DIY projects, you may do so. I just ask that you use only one picture of the completed project with a link back to my blog. Thank You! This site is too cute. Great ideas! While I’m not surprised at all that you are doing these things, this blog is genius to share with the rest of us wannabe’s. Haha. I saved a ton of money on my own wedding doing my own flowers and finding bargain dresses etc, however I simply didn’t have the vision that you have. Your pictures are amazing and you are absolutely stunning! Congrats on your recent nuptials and the launch of the blog — which I’m sure will soon turn into a lucrative business. Stay tuned for more CIY creations! Hey there Meghan! Oh my gosh, I found you through a comment on Bldg. 25 Free People blog and they led me to someone with quite some amazing crafting talents(you!) I just wanted to say brilliant job and this is so adorable, I love it. I have to say, I am only 13 but I also craft and design. I also have my own shop up on Etsy.com! Crafting is so wonderful and a great way to relax. Keep up the wonderful work:). 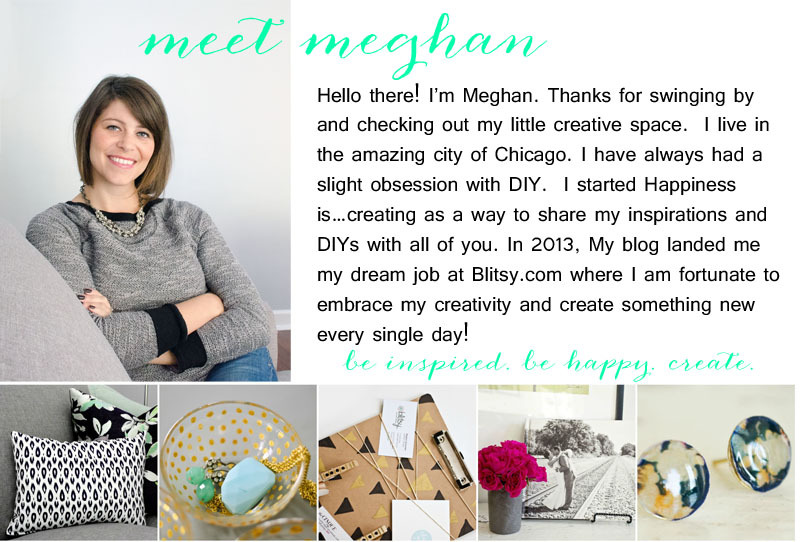 Hi Meghan, i am new in blogging! i also found you through free people blog, you are such an inspiration! I found your blog through the Free People blog, too. I really like your CIYs! Can ;you help when you have time? My email is: joeycanwin@gmail.com thanks so much! Really cute blog. Loved the photography. I was hoping for a collaboration, maybe I could do a guest post for you?